For those of us who grew up in North Carolina we could tell you in our sleep where we get our marriage licenses. But if you’ve recently moved here you might not know. 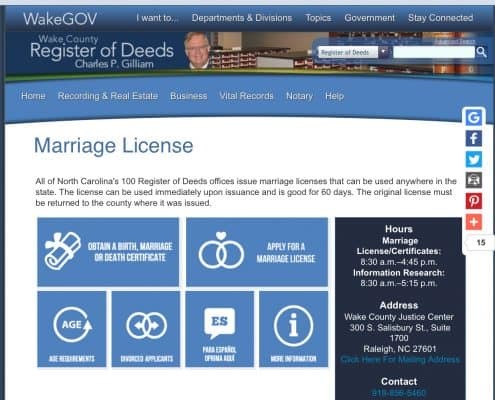 Marriage licenses in North Carolina are issued by the Register of Deedsoffices in each of the 100 counties. The fee is $60 and the license is valid for 60 days immediately upon receipt, to be married anywhere in the state. Usually both parties must appear to get their license. Visit your local office website to read all the requirements. We’ve listed the counties in the greater Triangle area with links to their marriage license websites below. After you’ve gotten your license it will be time to plan your celebration. Will you hire a planner? Do you have a family member or friend who loves to do events? If you don’t, when you call to talk to us, you’ll find out how easy we can make your day, and that we’re very knowledgeable and love to help. 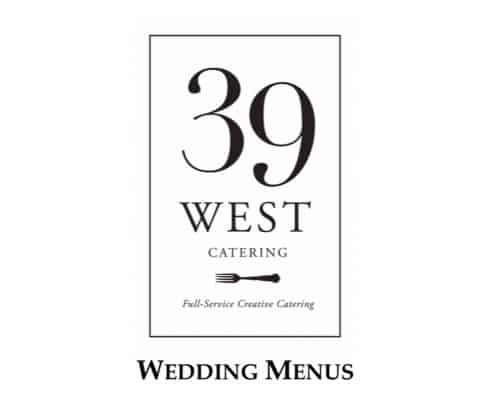 We’re 39 West Catering and we would love to cater your wedding celebration! Click 39 West below to see our menus.